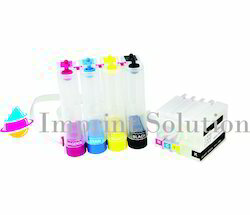 CISS - Continuous Inks Supply System is innovative product which provides Continuous Ink supply to Inkjet Printers using Ink Tank. HP Deskjet 3320, 3325, 3420, 3425, 3535/ 3550/ 3650/ 3744/ 3745/ 3845/ 3745/ 5550, and 5551 Color Inkjet printers, HP Photo smart 7150, 7350, and 7550 Color Inkjet printers, HP PSC 2110, 2210, and 2150 All-in-One, HP Office jet 6110 All-in-One, OJ4355/1315/4255/ 5603/5680/PSC 1110/1210/1315/1350. 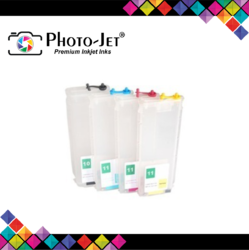 For HP Deskjet Ink Advantage 3525, 4615, 4625, 5525, 6525 e-All-in-One. Complete selection of HP toner cartridges for color.